This is a path-breaking study by leading scholars of comparative politics examining the internal transformations of dominant parties in both authoritarian and democratic settings. The principle question examined in this book is what happens to dominant political parties when they lose or face the very real prospect of losing? 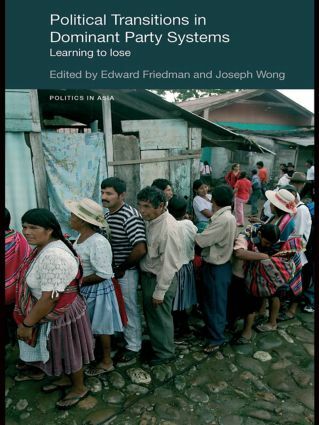 Using country-specific case studies, top-rank analysts in the field focus on the lessons that dominant parties might learn from losing and the adaptations they consequently make in order to survive, to remain competitive or to ultimately re-gain power. Providing historical based, comparative research on issues of theoretical importance, Political Transitions in Dominant Party Systems will be invaluable reading for students and scholars of comparative politics, international politics and political parties.